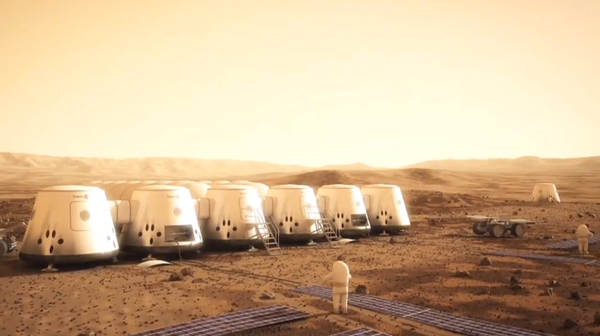 Dutch nonprofit Mars One has named 100 people who will remain in the running for a one-way trip to Mars, expected to leave Earth in 2024. Out of more than 200,000 people who applied, 24 will be trained for the mission and four will take the first trip, if all goes according to plan. 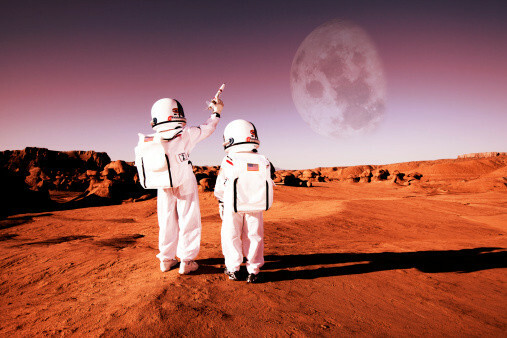 This round of eliminations was made after Norbert Kraft, Mars One’s chief medical officer, interviewed 660 candidates who said they were ready to leave everything behind to venture to Mars. The applications were open to anyone over age 18, because the organization believes its greatest need is not to find the smartest or most-skilled people, but rather the people most dedicated to the cause. Of the 50 men and 50 women selected for the next cut, 38 reside in the U.S. The next-most represented countries are Canada and Australia, both with seven. Two of the candidates were 18 when they applied in 2013; the oldest, Reginald George Foulds of Toronto, was 60. By education, the group breaks down as: 19 with no degree, two with associates, 27 bachelors, 30 masters, one law degree, four medical degrees and seven PhDs. Thirteen of the candidates are currently in school, 81 are employed and six are not working. Daniel Max Carey, 52, a data architect who lives in Annandale, Va.
Oscar Mathews, 32, of Suffolk, Va., a nuclear engineer and Navy reservist. Michael Joseph McDonnell, 50, of Fairfax, Va.
Laura Maxine Smith-Velazquez, 38, a human factors and systems engineer in Owings Mills, Md. Sonia Nicole Van Meter, 36, a political consultant who recently moved from Austin, Tex., to Alexandria, Va.
Leila Rowland Zucker, 46, an emergency room doctor at Howard University Hospital in D.C.
To fund the estimated $6 billion trip (for just the first four people), Mars One will be televising the remainder of the competition to narrow the group down to 24. Those 24 people will be divided into six teams of four that will compete to determine which group is most prepared to leave for Mars in 2024.